Is it now possible to predict who will suffer from schizophrenia? Yale University researchers found that certain brain irregularities are present before a person develops schizophrenia. These irregularities in key brain areas leading to higher risk of developing psychosis. The researchers found two irregularities: Less connectivity between the thalamus and prefrontal cortex. More connectivity between thalamus and sensory cortex. 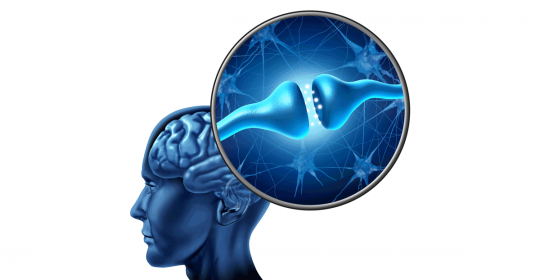 Connectivity means the synaptic connection between nerve cells. A synapsis is the connection between to nerve cells and the way how information is transmitted from one nerve cell to another. Less synaptic connection equals less information exchange. Thalamus, prefrontal cortex and sensory cortex are different areas of the brain with different functions. The Thalamus is kind of a relay system in the brain. The prefrontal cortex is involved in higher-level cognitive functions such as emotions. The sensory cortex deals with our senses like feeling. “We show these same abnormalities already exist in people who are at higher risk for developing psychosis.” Said Alan Anticevic, lead author of the study. Now more research needs to be done to definitively link disrupted functional connectivity between the thalamus and frontal cortex as a cause of schizophrenia.